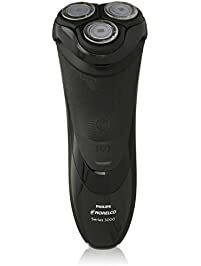 This is a product review for the philips norelco PT 730 power touch. This is the product right here let's kind of do a little 360 on them on there you see I got I got to dress. 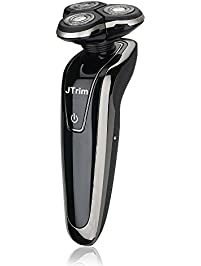 All right, first thing we're going to do is we're going to take a look at this thing right here back here is that the trimmer and kind of take your thumb and kind of slide down. It's a pops up now take a look at the heads before we get started on the shaving and stuff take get a close look at the head see how they they swivel in and out and man that is. Cool I got a kick out of that. Alright this thing is fully charged let's get out with this. That way we can just save time got down breaking it down now look at this I kid you not this thing right here the trimmer is really its main purpose is just to trim the beard mustache up a little bit but man I am really working i'll get the heads here let's see what it can do it doesn't really feel like it's doing what it's supposed to do but. 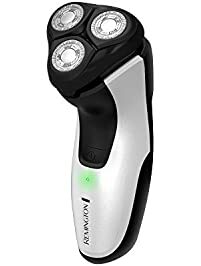 I could feel my face and it's like baby smooth man and this has been a product review of the norelco or philips norelco piki 730 power touch rechargeable cordless razor and here's the results.